If you are searching for a commercial moving company that can help you plan and execute a seamless relocation for your Asheville, North Carolina, business, look to Relocation Strategies Charlotte (RSI Charlotte). We’ve overseen successful moves for businesses of all sizes and types during the past decade, and our experienced consultants can help to ensure your project is completed on time and within your budget. At RSI Charlotte, our commercial moving services can be valuable for companies undergoing a variety of different scenarios, including a move to a larger office in the same building, a relocation to another office in the Asheville, NC, area, or a move out of state or across the country. 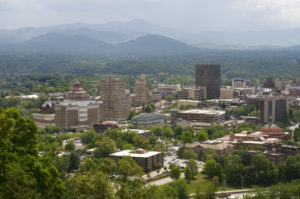 If you would like to speak with one of our representatives about the benefits our commercial moving services can provide for your company in the Asheville, NC, area, contact Relocation Strategies Charlotte today.